With the forecast this weekend to be around 100 degrees, we thought we would dip into the pool of chilled wines for our specials this weekend. 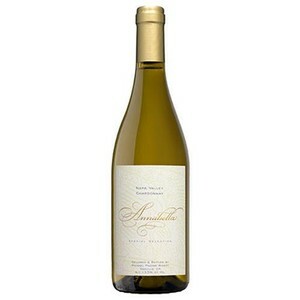 We have two fantastic California wines, the Elizabeth Spencer Mendocino Cuvée Rosé of Grenache 2017 and the Annabella Napa Chardonnay. Both of these wines have fantastic flavor, full of fruit, character, and are great chilled wines for a hot day. Both will be served all weekend long, until inventory is gone, at $5 a glass here at the bar. Or if you choose to take one home, we will give you a $10 off coupon on your order for the bottle to-go. Come and join us this weekend! And if we run out.....we may just have to find something else just as nice to fill the desire for something cool and refreshing during this hot weekend. Come and join us for this weekend's wine specials. 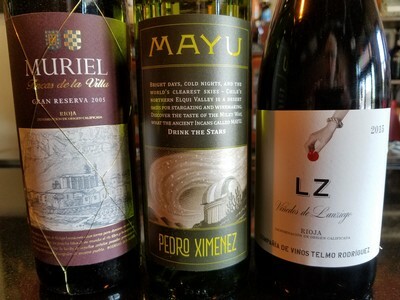 Come and enjoy these three great wines for $10 off bottles to-go while supplies last. Or enjoy special pricing by the glass here at the bar. 2015 LZ Red Blend from Rioja Spain. Bright dark purple black color with a dark purple hue. Nose reveals fresh ripe dark cherry and liquorice aromas which are interwoven with earth, dried meats and spicy vanillin cedar. $5 a glass.